Patricia (Pat) Elliott Shehan of Rutherfordton, N.C., died January 29, 2019 at Solace Hospice in Asheville, N.C. Born June 1, 1943 in Rutherfordton, N.C., she was the daughter of the late Horace Copley Elliott and Dorcas Callahan Elliott. 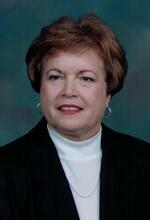 Pat was a 1961 graduate of RS Central High School and a 1966 graduate of Limestone College. She was a Christian and devoted teacher. Pat was a member of Spindale United Methodist Church where she taught Sunday school and participated in many church activities, including the yearly bazaar and compiling a church cookbook. Pat was married to her high school sweetheart, the late William Stephen (Steve) Shehan. They were married for 23 years and were the parents to three children. She was a devoted and loving mother and grandmother. In addition to her parents and husband, Pat was preceded in death by her sister, Jane Elliott Bridgers, and her daughter-in-law, Angela Good Shehan. Pat is survived by her three children, Amy Shehan Atchley, and husband, Tim, of Spindale, N.C.; William Stephen Shehan Jr. and wife, DeAnne, of Boiling Springs, S.C.; and Thomas Wade Shehan, and wife, Amy Leigh, of Burnsville, N.C.; five grandchildren, Kirsten Shehan Praytor, and husband, Ryan, of Boiling Springs, S.C.; Dustin Tyler Atchley, and fiancé, Sydney Griffin, of Greensboro, N.C.; Karsyn Shehan Painter, and husband, Alex, of Inman, S.C.; Matthew Elliott Atchley of Greensboro, N.C.; Turner Cole Shehan of Burnsville, N.C.; two step-grandchildren, Savannah and Cole Williams of Boiling Springs, S.C. Pat was also blessed with one great-grandchild, Noah James Painter of Inman, S.C.
A service of celebration will be held on Saturday, February 2, 2019 at Spindale United Methodist Church at 11am. There will be receiving of friends immediately following the service. There will be a private family burial to follow. The family requests any donations be made to Hospice of the Carolina Foothills, P.O. Box 336, Forest City, N.C. 28043 and note it in memory of Pat Shehan.